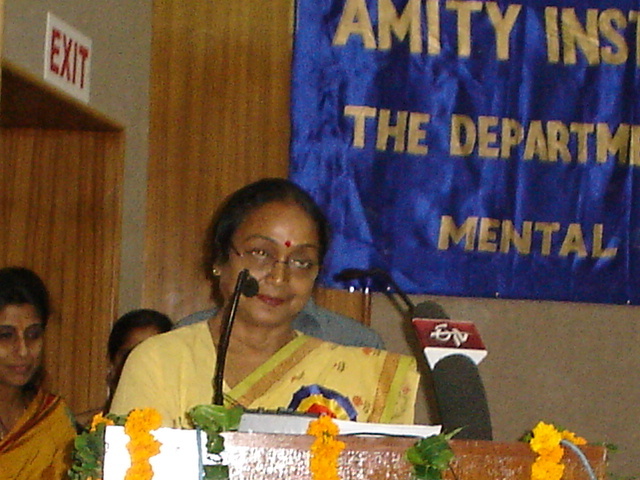 Minister of Social Justice and Empowerment Ms. Meira Kumar inaugurated three day National conference on Mental Health Challenges 2020 – A Vision for the future organized by Amity Institute of Behavioral (Health) and Allied Sciences at Amity University Campus Sector-125, Noida. 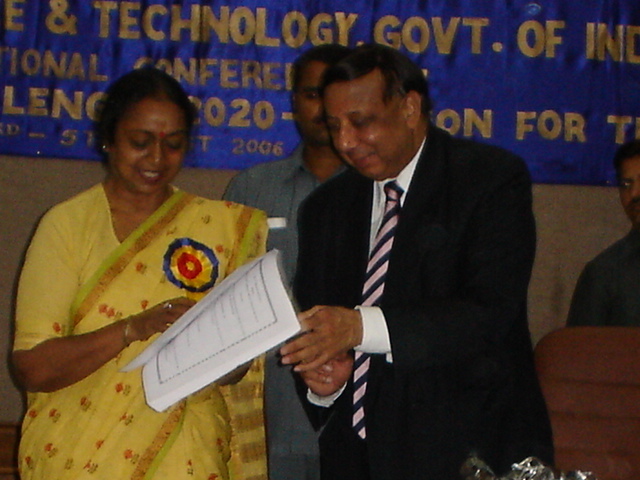 Ms. Meira Kumar in her address said that mental health is at a crossroads. On one side mental health policy is changing in response to the new agenda of human rights, anti-discrimination and social inclusion; on the other, it remains shaped by concerns over public order and risk management. Within specialist services, there are tensions between therapy and management and between greater user choice and service control, said hon’ble Minister. In society at large, there are emerging concerns about the state of public mental health and wellbeing which are evident in the growing concern about rising use of anti-depressants, observed Ms. Kumar. Prof (Dr.) Arun Agarwal, Director and Dean, Maulana Azad Medical College said that not so long ago, mental health was considered to be witchcraft or some bad doing, but with constant progress in the psychopathic sciences, people are going for medical advices. Dr. Agarwal cautioned that with urbanization and 50% and above of population is living under stress, the tremendous increase in mental diseases may result in drastic ill affects all over the society. By year 2020, mental illness will be the greatest killer in our country. Dr. Agarwal said that the current job scenario is also somewhat responsible in increasing cases of psycho cases. People are spending less and less quality time with family and near ones. There is a need to bring in more of Mental Health Care Centres and equip them with best of the knowledge to help solve these cases. Dr. J. N Chaudhary, IFS (Retired), Chairman VIMHANS in his address commented that “Mental Health of a population of any country is as important as physical health. While the Government of India has been emphasizing excellent physical health for its population, the efforts towards mental health have not been as spectacular. Yet, whatever level of efforts the government has put in, it has not deterred the private enterprises, NGOs and private practitioners from contributing their might to better the mental health of the people. Common people doesn’t consider a mental health person as a patient and doesn’t give enough attention whereas in today’s stressful life, more than 50 percent of the population in likely to have some form of mental disorder which needs to be taken as an epidemic and steps should be taken to curtail this disorder rather than wait, observed Dr. Chaudhary. Dr. Ashok K. Chauhan, Founder President, Ritnand Balved Education Foundation said, “Population of India has already crossed 1000 million. In a country dominated by poverty and illiteracy, Education and Rehabilitation Programmes for the mentally ill persons has been given relatively lesser importance. While individual private level initiatives to treat and rehabilitate the mentally ill persons are available, the success of such efforts has not been available to the public. Dr. Chauhan said, “We should start more of Education and Rehabilitation Programme for the mentally ill persons”. There is a need to discuss these problems by organizing more of such conferences and seminars. He further added that the whole world is looking towards India due to its huge development and potential in medical sector. 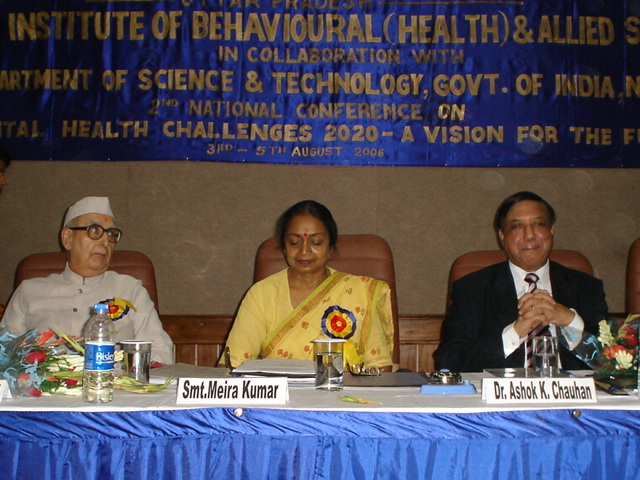 Dr. Chauhan suggested ways to overcome these problems so that quality of society can be improved and stress, depression and other mental problems can be reduced by way of development of spiritual psychology techniques & research on this field is needed.